SEARCH ENGINE MARKETING – Why should you care? Being found in Google, Bing, Yahoo! is the number one traffic driver for businesses; its value is huge, as potential customers are looking for businesses – like yours! So Search Engine Marketing is critical to your business. Prospects have two ways of finding you: either through Search Engine Optimization (SEO) or Pay-Per-Click (PPC). Paid search is immediate while SEO takes time, but can be extremely cost effective when done well. We can help you make those choices, and put your plan into action. using Google, Bing or Yahoo! According to ComScore, over 20% of all searches have localized keywords, which equates to about 3-billion localized Google Search queries each month. Companies that invest in local search marketing now will establish a huge, sustainable competitive advantage over other businesses in their locale. 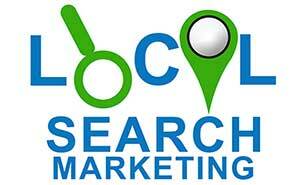 With Google’s new Pidgeon update in the summer of 2014, it put even more emphasis on local search results. Today, when a search query is triggered, local search results dominate the page. PPC is a highly targeted way of driving quality traffic to your website. PPC is a very effective way to gain highly targeted traffic to your website immediately. Although it is not a great long term solution, pay-per-click guarantees your website will be visible when your audience is searching for your product or service. For all web traffic, having Analytics is key. Google Analytics is a website analysis tool that helps you understand how your website is performing, so that you can turn your data into real, actionable, every-day tasks. Black Chip Marketing has the expertise to take care of this, ensuring all website tracking software is properly installed, developing relevant reporting programs, and allowing for proper assessment and adjustments as needed. Search Engine Optimization (SEO) is the technique used to help search engines find and rank a website, by developing a system of content such as web page, blogs, videos, and off-site articles that focus on keywords that identify your business’s’ core activity. Paid Search, also known as Pay-Per-Click, is a form of advertising that puts your website at the top of the search results. Companies bid for keywords relevant to their business on a “pay-per-click” basis, which means you only pay for searchers who click on your advertisement. It’s critical that your business be visible in Google, Bing and Yahoo. And more important, you need to be on page one because if you aren’t, you’re probably not going to be found. That’s because only 1 in 4 people search beyond the first page. SEO, or search engine optimization, is an all-encompassing program that ties in your website structure, your on-site content, off-site content, keyword focus and your website’s authority to then determine where and how often you’ll appear in the SERPs (search engine results page). But at the core of SEO is keyword research. Without a dynamic keyword program in place, your SEO efforts will fall apart. Keyword phrases must be carefully selected and placed strategically throughout your site, and all other off-site content. Remember, search engine optimization is part art, part science. An expert SEO professional has both technical and creative skills. And SEO is NOT something learned in just a year or two. It’s a very complex, ever-changing program that requires insight and a clear strategic focus to make it work. According to ComScore, over 20% of all searches have localized keywords, which equates to about 3-billion localized Google Search queries each month. Companies that invest in local search now will establish a huge, sustainable competitive advantage over other businesses in their locale. With Google’s new Pigeon update in the summer of 2014, it put even more emphasis on local search results. Today, when a search query is triggered, local search results dominate the page. 70% of people online are shopping for local products and services, and with smart phone usage going up, that percentage only gets bigger, reinforcing the importance of local search. For small and mid-sized businesses, local search marketing is critical to attract the best types of customers…the ones right in your own neighborhood. And it’s more than just getting listed. You need to make sure your listings are: claimed/verified, they are accurate, and then properly optimized. Using this type of advertising allows you to quickly target the very people searching for your product or service. Combining this PPC Management with SEO services is the most powerful advertising channel you will be able to harness. You can focus your market on a worldwide audience, or micro target individual cities and towns. Attaining success through PPC advertising begins with effective keyword research. After this then proper campaign targeting, and bid management impact the campaigns success. From analysis, you’ll discover the best revenue-generating keywords; however, this is an involved process and should be done by professionals, as much money has been wasted by those without a thorough understanding of the PPC process. Can you image what would happen if you built a house with a poor foundation? Your walls would be out of square, floors would be sloped. Nothing would fit. Well, that’s the same as trying to run your online business without having web analytics. Who are these people, what are they doing when they visit your site, and where do they go? Once you have this key data, you can make informed decisions. You’ll be able to properly analyze visitor behavior, improve your conversions and maximize your ROI by identifying problem areas and fixing them. Overall, you’ll improve your website’s usability.